The dress, a couture ivory gown inspired by the court of King Charles II, features corset detailing and a white pearl sequin fabric derived from recycled plastic bottles. An ivory tulle veil completes the look. The couture Vivienne Westwood gown features a white pearl sequin fabric derived from recycled plastic bottles. 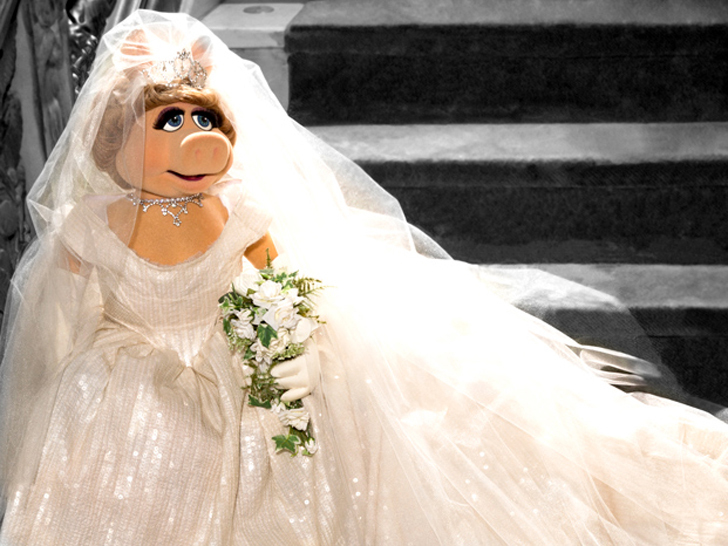 Matrimonial trappings aside, one question remains: Will Kermit get over his cold feet and finally make an honest sow out of her? “You’ll have to see the movie to find out,” Miss Piggy teased. 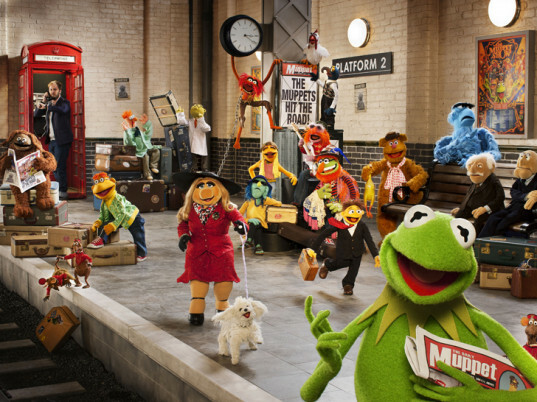 Muppets Most Wanted, which also stars Tina Fey, Ty Burrell, and Ricky Gervais, opens in theaters March 21.